Captain Eric Schippa is a 3rd generation charter fisherman from the port of Saugatuck Michigan. Few other fishermen have been fishing the port for as long or have the family history in the community of fisherman that Eric has behind him. 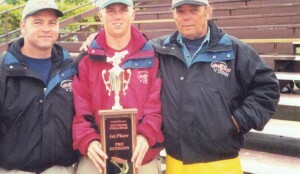 Eric began charter fishing with his dad, Kevin Schippa, at the age of seven during his summer break from school. At the age of 18, Eric got his US Coast Guard Captains License and bought his first charter boat. He has been a full-time charter captain ever since! Eric is also a well-known tournament fisherman with multiple first place finishes and numerous top 5 finishes on the great lakes tournament circuit. 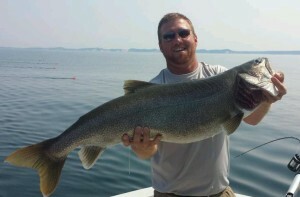 Captain Eric Schippa is the result of generations of fishing experience and knowledge on the great lakes that has culminated in the development of one of the best fishermen in West Michigan. Take advantage of this and book your next charter with him! 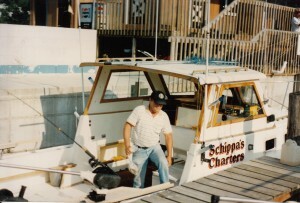 In 1978 his grandparents started “Schippas Charter Service” which lead them to owning and operating a fleet of 7 charter boats. 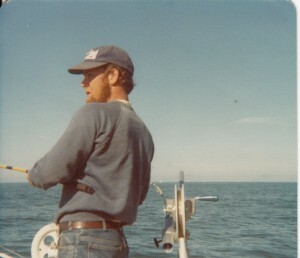 Eric’s father has been actively charter fishing for salmon and trout since day one!